Dear GCA Family - You're Invited! Grace Christian Academy turned 10 years old this year! You are invited to help us celebrate GCA's birthday and all God has done in our school! In August of 2009, GCA welcomed 65 total students from kindergarten through sixth grade. Today, God has blessed GCA more than tenfold as we have nearly 700 students from pre-k through twelfth grade. Each one of you play a significant part of who we are today as a school, and this celebration is for you! 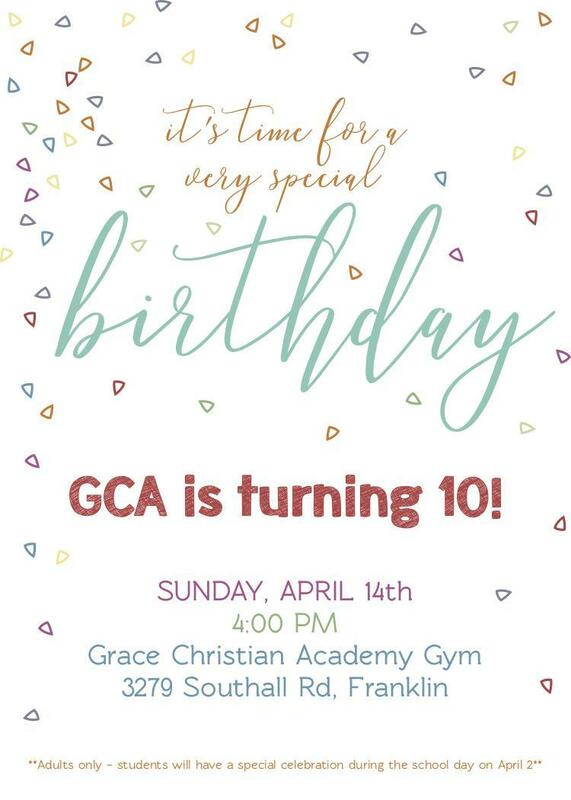 Please join us on Sunday, April 14 at 4:00 pm for the GCA Birthday Bash! Every guest in attendance will have the chance to win BIG prizes. By just attending, you’ll be entered for a chance to win a $5000 tuition credit for the 2019-20 school year. This party is reserved for adults only as students will have their own celebration at school. 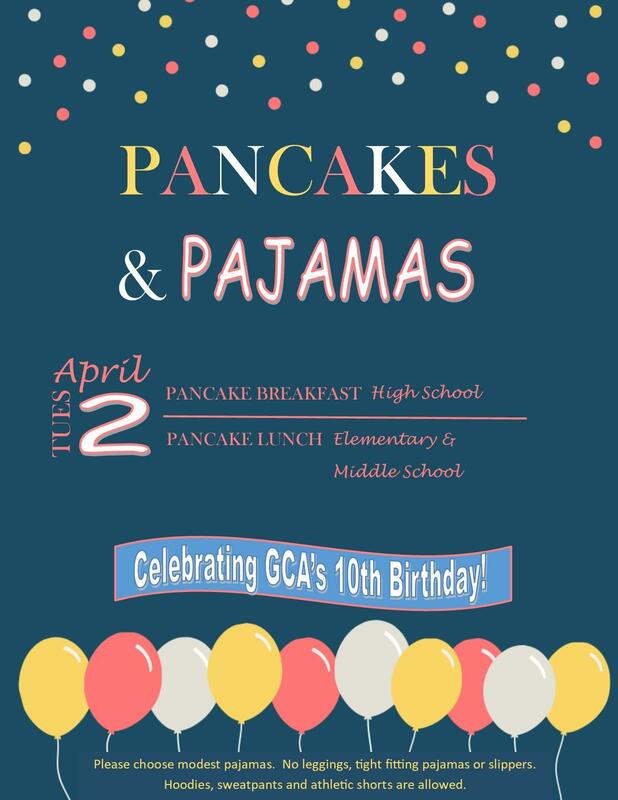 Students will celebrate on Tuesday, April 2 with a “Pajama and Pancake Party”. High schoolers will enjoy a pancake breakfast and elementary and middle school will enjoy a pancake lunch as we celebrate 10 years of God’s provision and blessings! And everyone will be able to wear pajamas as we celebrate all that the Lord has done! We hope you’ll mark your calendar and join us on April 14 as we celebrate GCA and look with anticipation toward the future and all God will do!